Please help us keep this online magazine free. 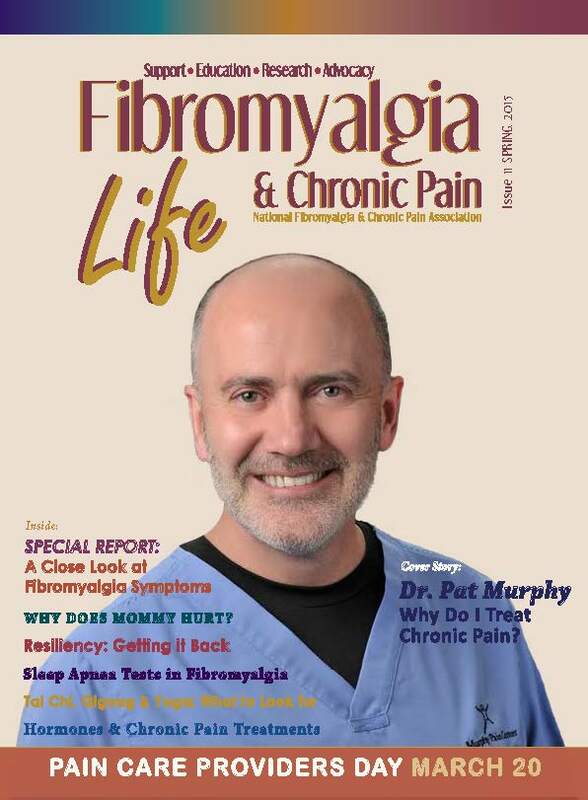 We are "Your partner in tackling fibromyalgia and chronic pain." Mission Statement: The National Fibromyalgia & Chronic Pain Association unites patients, policy makers, and healthcare, medical and scientific communities to transform lives through visionary support, advocacy, research and education of fibromyalgia and chronic pain illnesses. Vision Statement: End chronic pain conditions from derailing lives by promoting early diagnosis, driving scientific research for a cure, and facilitating translational research for the THREE A's of Treatment for fibromyalgia and chronic pain: Appropriate, Accessible, and Affordable.